The bus routes run through key destinations within the greater Bristol area. Bristol has a high car dependency and poor air quality and is rapidly expanding. The Metrobus was designed to link with existing rail and bus services in the greater Bristol area. This included the construction of a 3.5km busway segregated from general traffic, 94 new bus stops and 282 new cycle stands. A further 10km of new cycle and walking routes have been created to make it safer to travel by bike or foot. The busses are easily accessible for people with reduced mobility, with twin doors, low floors and wide corridors. There is a ‘buy before you board’ ticketing scheme including an app and ticket machines to reduce waiting times at bus stops. The busses currently use Euro 6 diesel, which emit 95% less nitrogen oxide emissions than previous busses. However, within 24 months all metrobuses will be powered by carbon neutral biomethane gas created from food waste, which would otherwise end up in landfill. Biogas has multiple benefits as it emits less Co2, has lower operating costs and creates less noise than diesel or petrol. The metrobus operates under a quality partnership scheme which means the local councils provides the facilities (bus shelters, bus priority, ticket points) and maintain the infrastructure and the participating bus operators provide the service and manage the busses. Biogas busses can be used in all cities. Public busses can be fast, reliable and green and using biogas helps to create a circular economy. The infrastructure funding (bus lanes, cycle routes, junction improvements, bus shelters, iPoint ticket infrastructure, new bridges) amounted to a £230million project across the 50km network. Funded by the Department for Transport, Bristol City, North Somerset and South Gloucestershire Councils the benefits extend to all buses and many hundreds of cyclists. 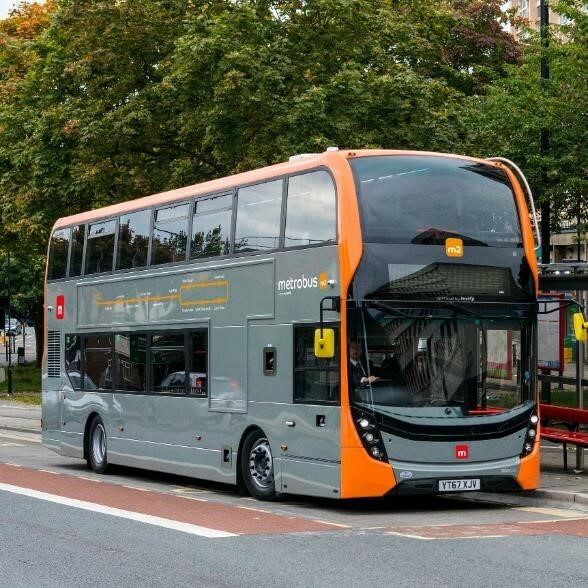 First West of England have invested £10 million in metrobus and have recently invested in biomethane gas powered vehicles. Bristol Community Transport are investing £7 million in 21 biogas busses for the m1 metrobus service.